StreetWise Georgia conducts many holiday programs and special events throughout the year. From passing out backpacks before school starts to distributing dresses before prom arrives, StreetWise desires to extravagantly bless every client that comes through. Our events are focused on filling practical needs, as well as ministering to the spiritual needs of each family in attendance. For some families, this is the one message of hope that they will receive all year, so we take every opportunity to tell of the Lord and His love! Interested in attending an event? Please call 678-985-9952 Monday through Thursday 10:15am to 3:00pm to register or receive more information. 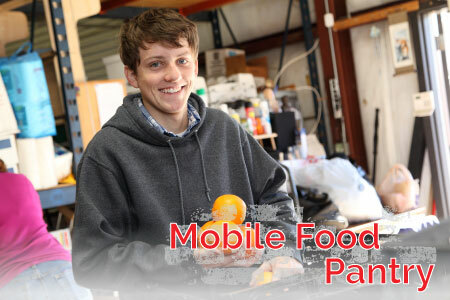 The Atlanta Community Food Bank partners with StreetWise to provide preregistered families with approximately 170 lbs. of food on the second Saturday of each month. Registered guests never have to get out of their vehicles. Photo ID is required at check in. Guests drive through the parking lot where StreetWise Ambassadors load their vehicles with boxes of food. 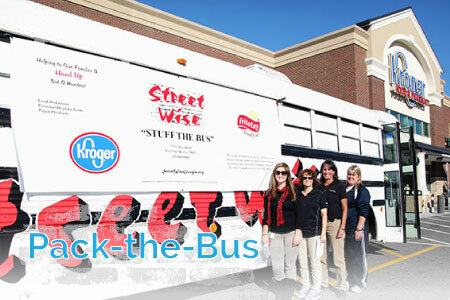 The StreetWise bus comes to a local store and StreetWise volunteers provide recommendations of needed items, customers purchase items to donate, and volunteers load the items on the bus. Our goal, with assistance from the community, is to Stuff-the-Bus. 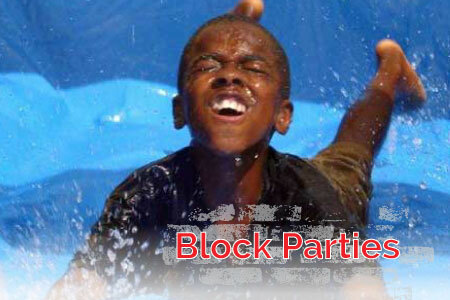 StreetWise Block Parties are held throughout the area to bring the community a good time and Good News. These parties are full of laughter, games, treats, food, music and fun. StreetWise Georgia partners with The Gwinnett County Department of Family and Child Services(DFCS) to make a dream come true for young women and men who could not otherwise attend their prom. 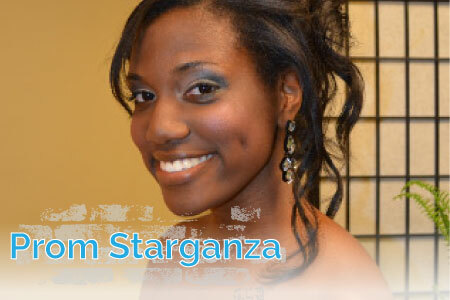 Gently-used prom dresses and suits are collected by donation prior to the event. Ladies and gentlemen come in at their appointed times and receive assistance from StreetWise Volunteers as they pick out everything they will need for prom. The young women can then have their hair styled, nails painted and makeup applied, all in time to have their pictures taken! The Gospel is thoroughly communicated to each student as they receive attentive care and are verbally presented with the truth of God’s love for them. Each December StreetWise Georgia gathers to celebrate the greatest gift ever given: Jesus! At Christmastime, StreetWise gives every child a gift to unwrap and at one of our largest events of the year the families and children get to know the love of Christ! To many of us, Christmas delivers food, fun and family time. For others, however, holidays present no more than a nagging reminder of lack. 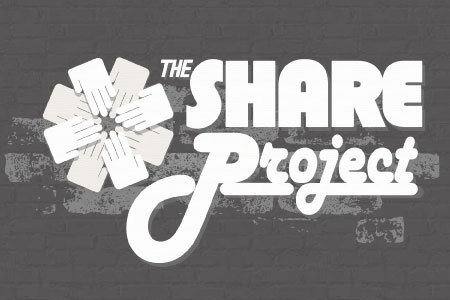 Ever wanted to share your blessings with those less fortunate, but just didn’t know how? The StreetWise Adopt-a-Family Program makes it easy! Attendees are trained in the basics of reading and pronunciation. While the program is designed for adults, some children may be approved. All attendees of the program are then welcomed to join us for our weekly Bible Study. Program times coming soon! 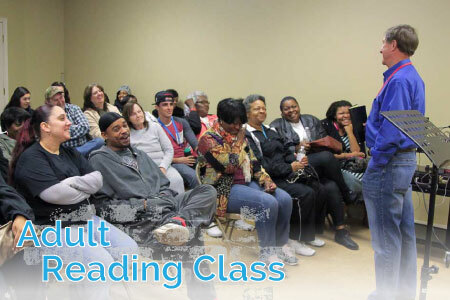 Volunteer Responsibilities: teach adults to read for the first time! 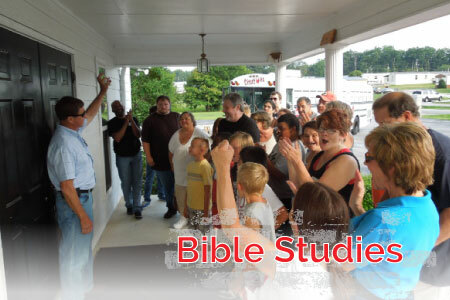 StreetWise hosts a weekly Bible Study each Thursday evenings (following the reading class). The study is open to all ages, infant to 999 years. Please check our calendar for dates and times as they will be posted soon. 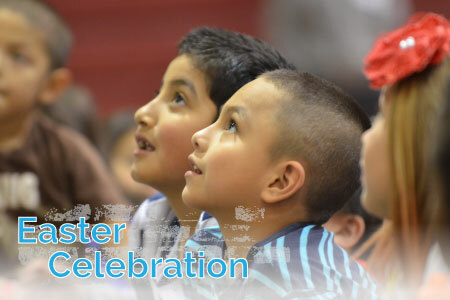 After learning the Biblical motivation behind our celebration, children receive a specially packaged basket of toys, colorful plastic eggs and individually wrapped candies. Services are held at our StreetWise facility in Lawrenceville. We also provide groceries so that each family can go home with fresh food. 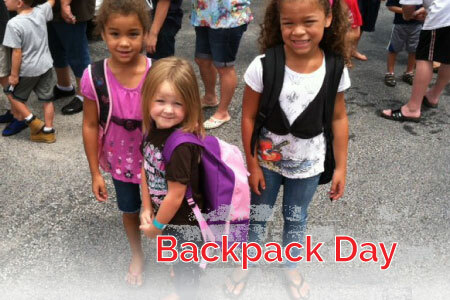 StreetWise Georgia’s Annual Backpack Day Event gives children living below the poverty level a new backpack, stuffed with all of the necessary supplies for their upcoming school year. Our Thanksgiving event includes a short program explaining the Gospel and our understanding of what we have to be thankful for. Afterwards, meal boxes are distributed to families who would not otherwise have a Thanksgiving dinner to prepare at home. StreetWise Georgia is proud to partner with local churches in the Metro Atlanta area to provide relief for the physical and spiritual needs of struggling families. With the help of Christlike volunteers and our trusty, refrigerated food truck, we are able to safely transport food into lower-income communities, host entire events devoted to presenting the Gospel and build relationships with extraordinary people!